LGW ceased operations along with Airberlin on October 27, 2017 (ironically 10 years to the day it started operations). Since then the carrier has been hiring Airbus A320 crews. 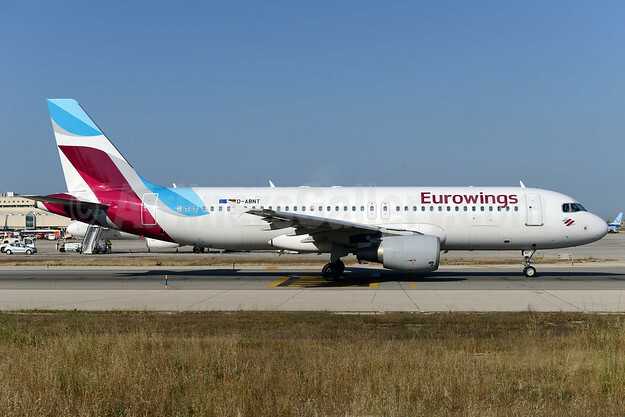 It started operating its first Airbus A320 for Eurowings on December 5. 2017. LGW will eventually replace the Airberlin A320s which previously operated for Eurowings. Ex-Airline D-ABNT (above) became the first Airbus A320 to join the LGW fleet. As previously reported, the Lufthansa Group acquired LGW and Niki from Airberlin as part of the bankruptcy procceedings. Top Copyright Photo (all others by LGW): Eurowings (Airberlin) Airbus A320-214 D-ABNT (msn 2562) PMI (Ton Jochems). Image: 939083. This entry was posted in Eurowings, LGW and tagged Airbus A320-214, D-ABNT, Eurowings, Eurowings (Airberlin), LGW, msn 2562, PMI on December 9, 2017 by Bruce Drum.